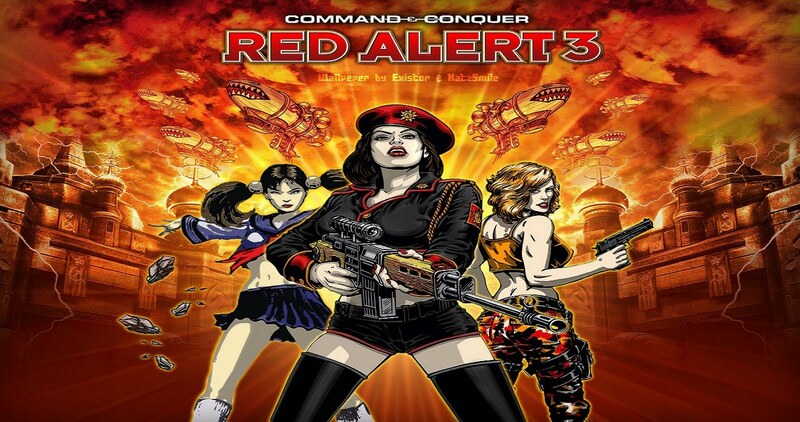 Command and Conquer: Red Alert 3 is a real-time strategy video game developed by EA Los Angeles. 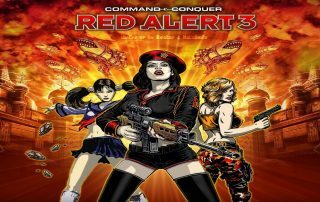 This is the third installment in the Red Alert saga, a variation (but still a part of) of the Command and Conquer series. New features added – it’s all about the sea! The gameplay has been totally redesigned since the release of Generals and Command and Conquer 3. Most of the units in Red Alert 3 are amphibious and a pretty prominent place is left in naval combat. Besides, the construction site itself is amphibious and the possibility of creating a base in the sea has been allowed. For any Red Alert player, this obviously creates a huge impact on gameplay mechanics and style, especially in competitive play. In a demonstration video released in early June, the general director of game development explains that “to not epxloit the sea is to provide an economic and strategic advantage to the enemy”. In reality, water becomes the major element of the game: a commander not exploiting the possibilities of water is a bad commander. Almost all buildings can be placed on the water, with the exception of buildings producing land units (weapons factory and barracks), and only the shipyard can not be built on land. Following the events of Red Alert 2, the Union of Soviet Socialist Republics is in decline in the face of Allied military superiority. In a capital city ridden by the popular revolt and the precipitous departure of the Secretary General, the Russian colonel Anatoliy Cherdenko (Interpreted by Tim Curry) reveals to his superior, General Krukov, the existence of a plan to make a leap back in time. His goal: to assassinate Albert Einstein, effectively eliminating the incredible technological breakthrough of the Allies and restoring the former and powerful Soviet Union in the process. But the mission is not going as planned. A new spatio-temporal dimension is created and a new geopolitical order is established, altering the course of technological evolution and creating a new technologically advanced empire in the Far East: The Empire of the Rising Sun. The Third World War begins as Japanese invading troops arrive at the Russian coast.